The month of August seems to be flying by! 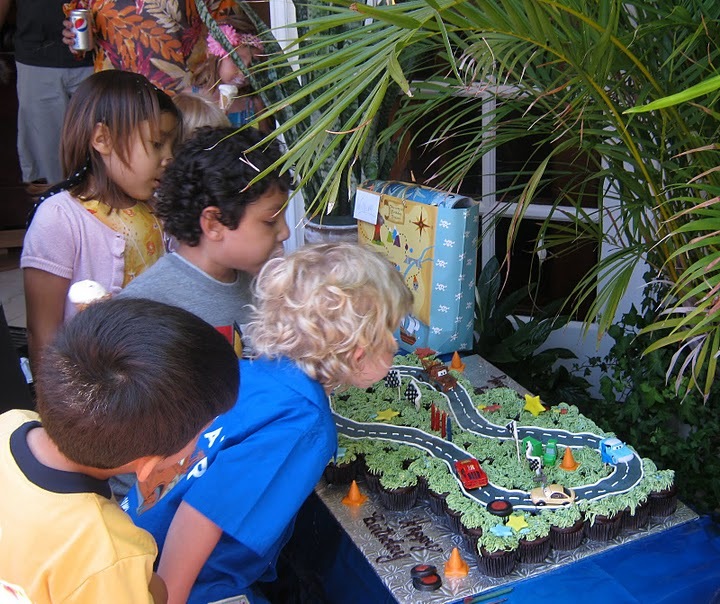 Since my last post we’ve celebrated our youngest son William’s 4th birthday with a fabulous “Cars” themed party at our house. 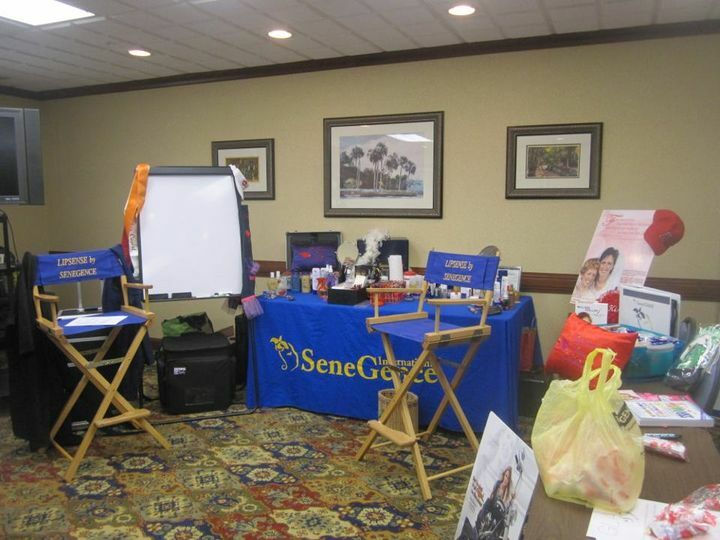 We also recently flew out to Florida so that I could speak at a local Glam & Gloss event there hosted by one of our beloved Distributors, Pamela Bennett of Vero Beach. A Glam & Gloss is a glamour and beauty training event featuring SeneDerm SkinCare and SenseCosmetics, which is our line of waterproof/water resistant makeup that does double duty and not only beautifies skin temporarily, but it actually improves the skin with our exclusive anti-aging SenePlex Complex. The Glam & Gloss events are held all over the country throughout the year and we encourage our Distributors to bring friends and family who are interested in the art of skincare and makeup or a work from home direct selling career opportunity. The Florida Glam & Gloss was a success. If you’re interested in learning more about Glam & Gloss events in a city near you, click here to email us. Ben and Jim Bennett golfed while Pamela and I conducted the Glam & Gloss. 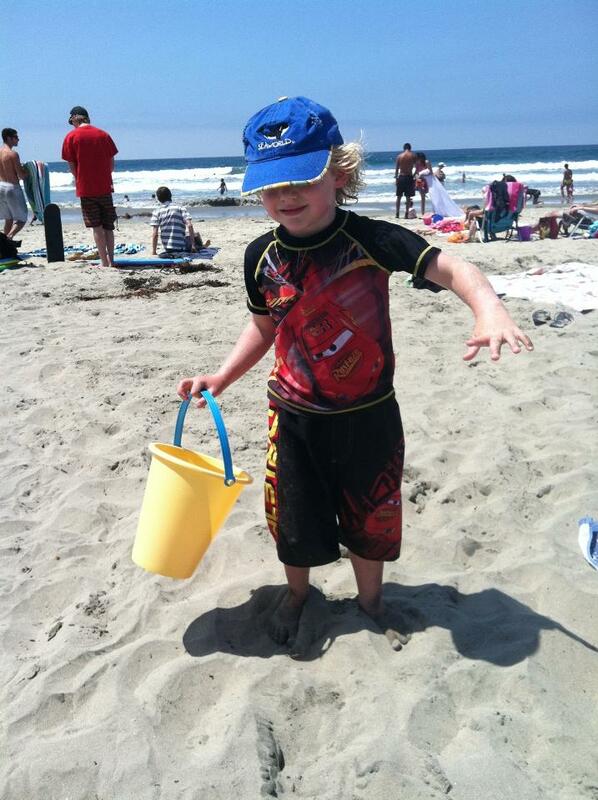 Meanwhile back home in California, Alan and William spent quality brother time together at the beach and William enjoyed playing in the sand. 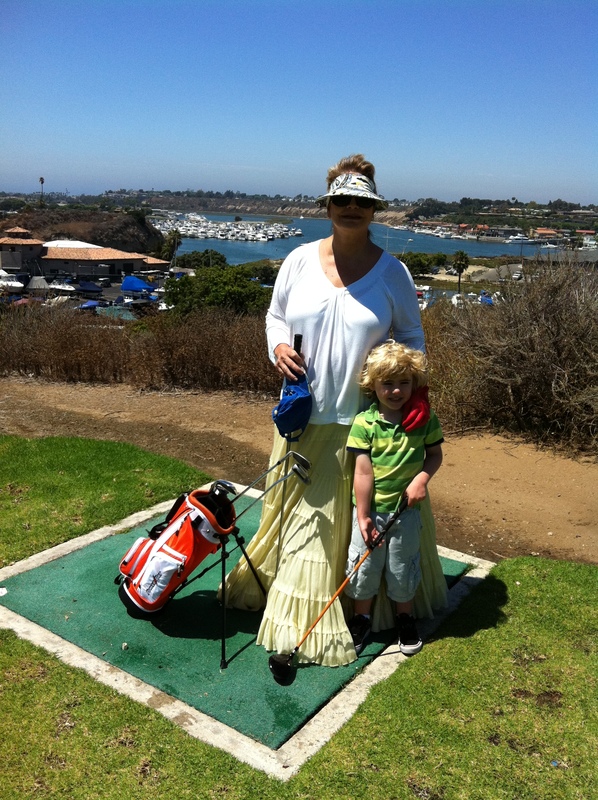 When we returned home we decided to spend some family time together and play some golf. 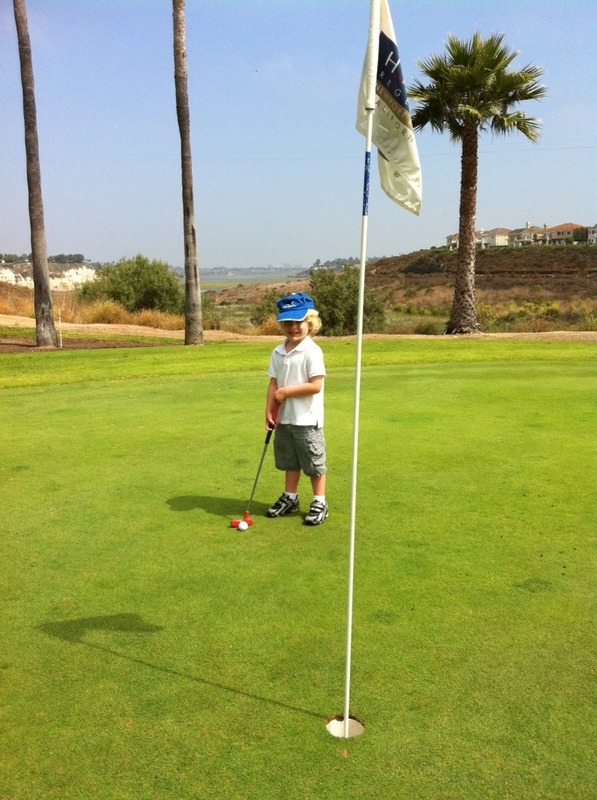 Here’s us playing Par 3 chip and putt. And of course, we have been busy working on some great surprises for our Distributors at the upcoming Leaders Conference in October as well as moving my oldest son, Alan, into his new apartment for college. There’s never a dull moment in our family – both the Kantes and the SeneGence clan! Have a fun and productive rest of your summer (and be ready to get back to business this September!). So this weekend was packed full of fun. It started with dinner and a movie, “The Help.” It’s a must-see movie and a reminder of how important it is to watch your words as they alone change lives. 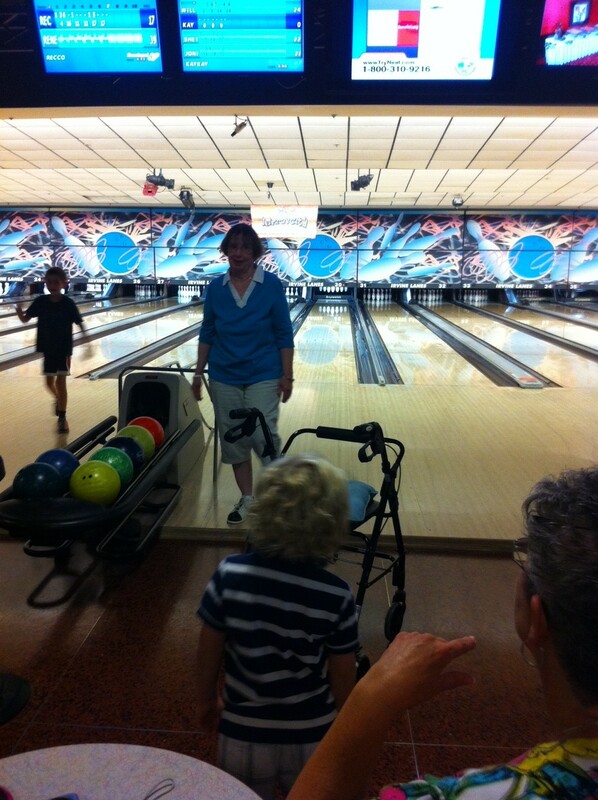 Saturday began with a trip to the bowling alley with William, Sheila, and Kay-Kay. Sheila won, William came in second and Kay and I last … beat by a four year old! The day progressed into golf with Ben while I shopped, gardened, and prepared healthy dishes and placed in the refrigerator to munch on throughout the next few days. Sunday we had the pleasure of attending Alan’s friend Daniel’s Lime Truck restaurant opening and the premier of the show Gourmet Food Trucks on the Food Network. Watch it this season … it’s very entertaining and if you’ve been to my house for dinner you’ll recognize the chefs. We are so proud of our boys! 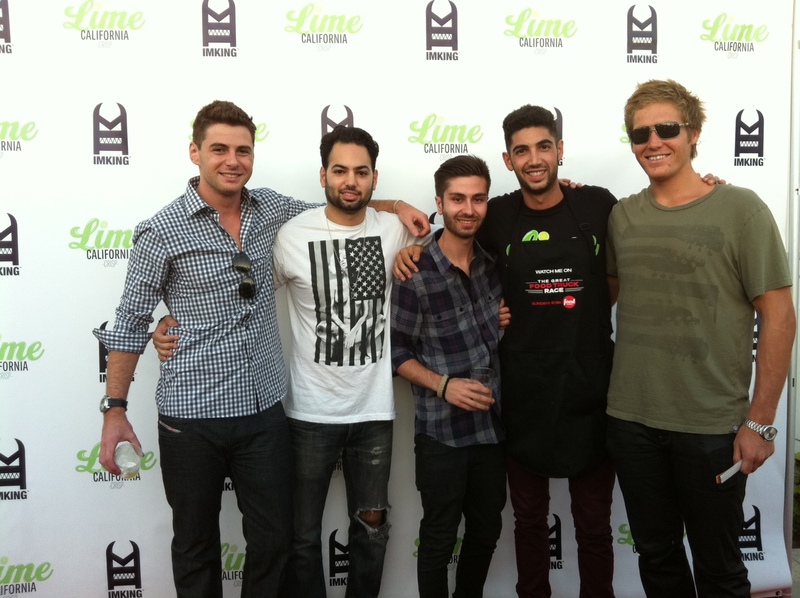 Steve, Leonard, Hyak, Daniel (owner of Lime), and son, Alan. While in Las Vegas, Nevada for the annual Cosmoprof North American tradeshow and SeneGence Glam & Gloss, My family and I went to visit the Zappos.com headquarters in nearby Henderson. Zappos.com is an online shoe, apparel, and accessories store that was officially launched in June 1999. Zappos has a stellar customer service reputation. In particular, after a late night of barhopping and closed room service, Tony Hsieh, CEO of Zappos, bet a Sketchers rep that if he called the Zappos hotline, the employee would be able to locate the nearest late-night pizza delivery. The call center employee, although initially confused, returned two minutes later with a list of the five closest late night pizza restaurants. Inc. Magazine notes another example when a woman called Zappos to return a pair of boots for her husband because he died in a car accident. 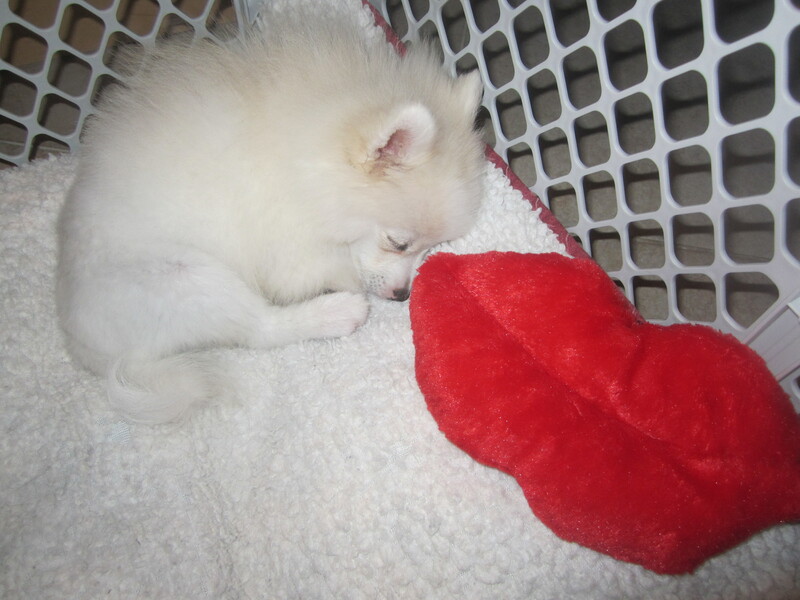 The next day, she received a flower delivery, which the call center rep had billed to the company without checking with her supervisor. It’s this kind of customer service that creates repeat buyers. 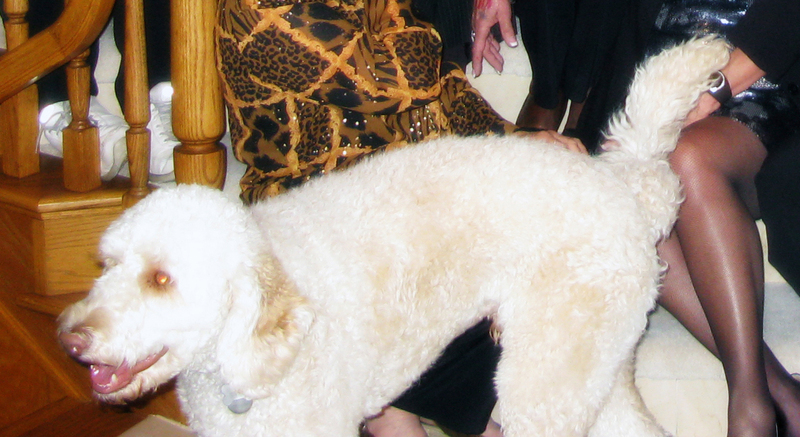 In the direct selling industry people have a great opportunity to provide personal attention and excellent service (free wrapping, home delivery, etc…) and I always encourage our SeneGence Distributors to do so. After all, excellent customer service is one of the things that keeps customers coming back in every industry. Zappos offers daily tours to the public and as part of the tour, we had 30 minutes of Q&A time with the Zappos corporate team where we had time to ask them operational questions and more. 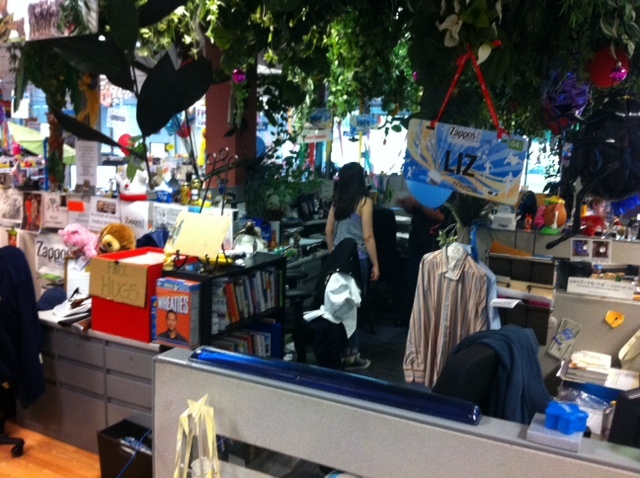 Zappos is also known for its unique (to say the least) corporate culture . 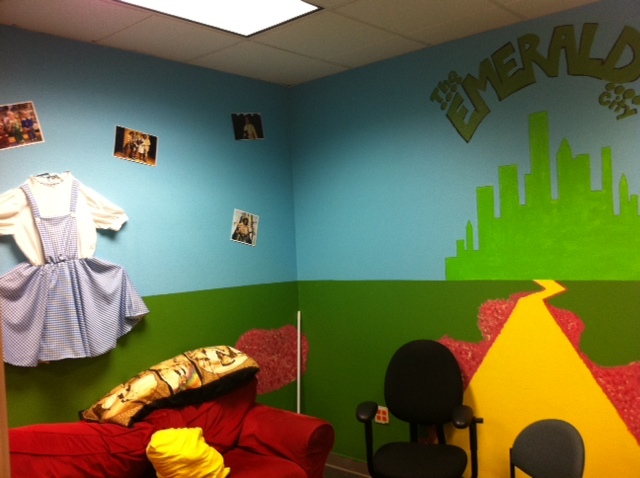 Each department has its own decor, ranging from rainforest themed to Elvis themed, and employees are encouraged to decorate their work spaces (for example, The CEO Tony Hsieh’s desk, which is in the middle of a cluster of cubicles, features jungle vines and an inflatable monkey). 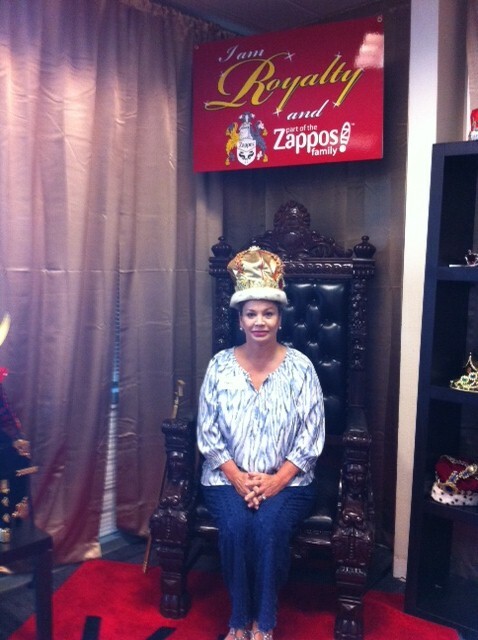 The visit to Zappos reminded me of how proud I am of our own special team and culture at SeneGence corporate. At the home office in Irvine,CA, we have an open office policy where we welcome all Distributors and guests to stop in and play with SeneDerm SkinCare and SenseCosmetics long lasting color products anytime. We supply healthy food for all our staff and guests to enjoy. We hold fun, monthly staff birthday celebrations and recently had a potluck cook-off contest. And we use the phase “How may I support you” when answering our phones to make sure anyone calling knows that we are here for them. What unique things do you do to create a special experience for your Customers and/or employees?! Please comment below. 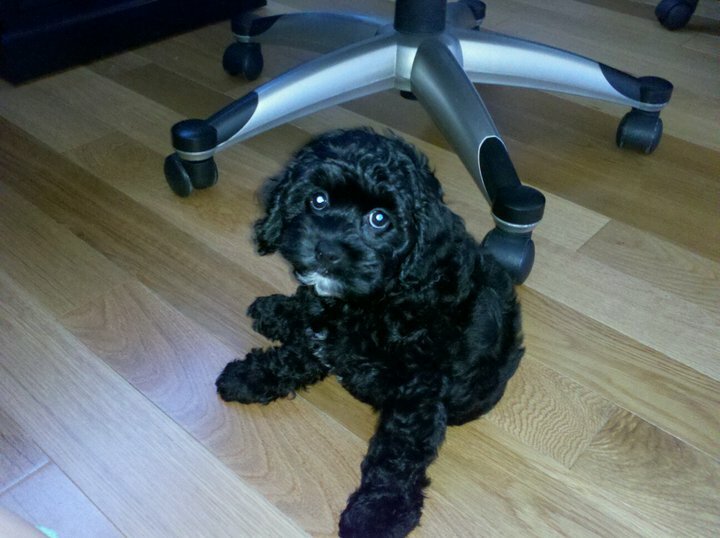 Here’s SeneGence Marketing & PR Coordinator, Michelle Gibellino’s, own Cockapoo (Cocker Spaniel/Toy Poodle)Sydney. 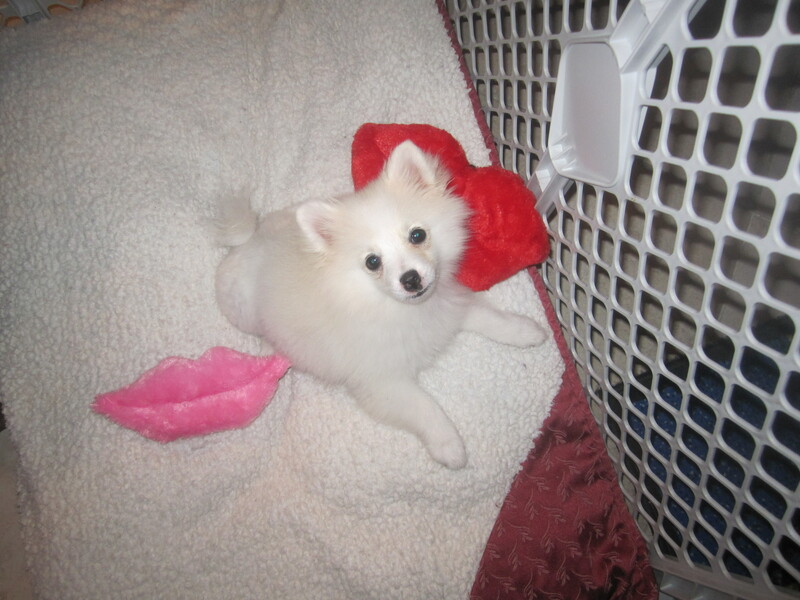 Do you have an animal that you love? Share their picture on our Facebook page now. Since Ben and I had planned to go to Las Vegas, Nevada, for the annual Cosmoprof industry tradeshow this week, we decided to make a trip out of it and first take the family on a road trip to see some landmarks and famous sites in the surrounding area. 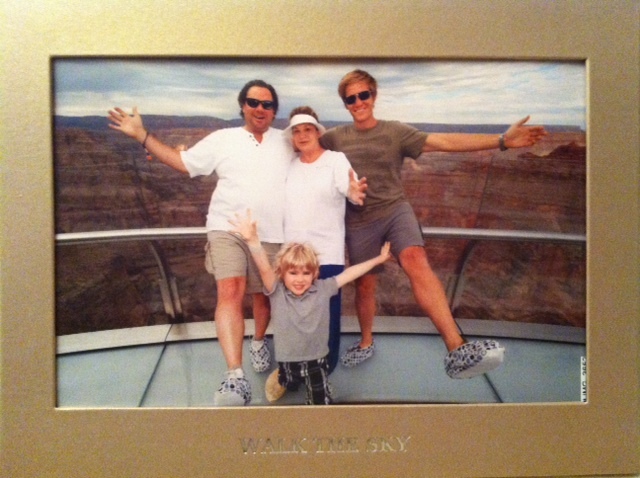 We began the trip by visiting my Dad, in Arizona, then we went to the Grand Canyon. We rode the SeneBus (read RV) and got to explore some great sites along the historic Route 66. 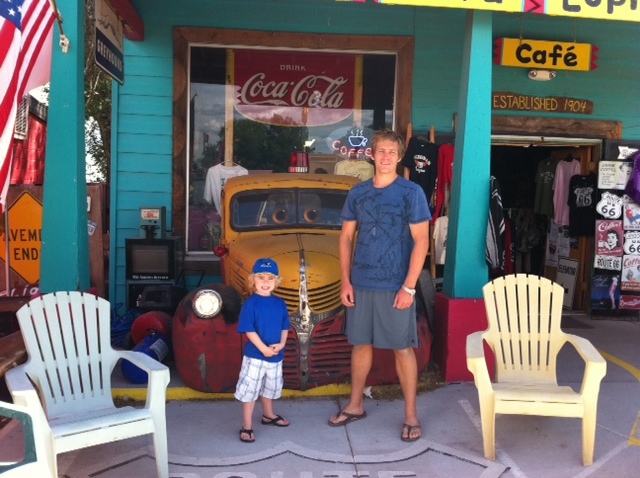 Here’s our sons having lunch at Cruiser’s Cafe 66 in Williams, Arizona. 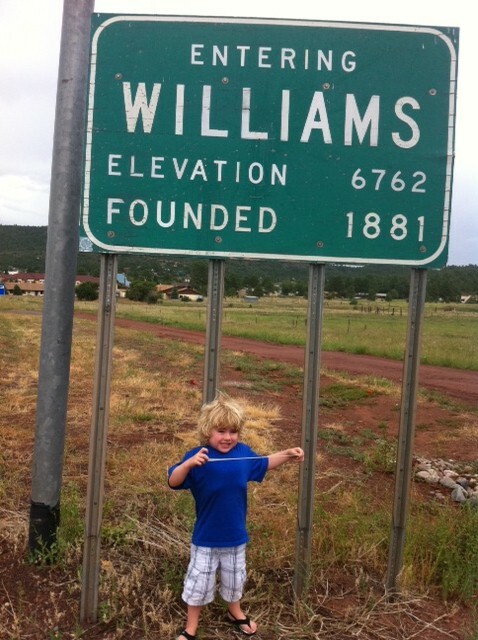 Of course we couldn’t resist taking a picture of our son William in front of the Williams, Arizona sign. He was so excited to visit a town with his name! The town of Williams is near the Grand Canyon National Park and is a major tourist stop with many restaurants. The Grand Canyon was absolutely breathtaking and we decided to walk the path of the eagle … 4,000 feet above the natural wonder of the Grand Canyon, there is a see through bridge that looks down through 2.5 inches of crystal-clear glass to the canyon floor below. It was incredible to say the least. After spending some family time together in Arizona, we went to Las Vegas to attend Cosmoprof as well as a local Glam & Gloss hosted by Queen Distributor Jeri Taylor-Swade and Countess Cathy Hoolihan. It was a nice turnout. Two things I was very grateful for while visiting the hot and dry states of Arizona and Nevada, were the SeneDerm SkinCare Collection for Dry Skin along with Climate Control. My skin never felt dry, in fact it was perfectly hydrated the entire trip as all of the products in the Dry SkinCare collection are meant to add essential moisturizers while self-regulating the climate around the skin. They’re definite must haves in these states! Visit http://senegence.com/ for more information about Climate Control or the SeneDerm Dry SkinCare Collection.